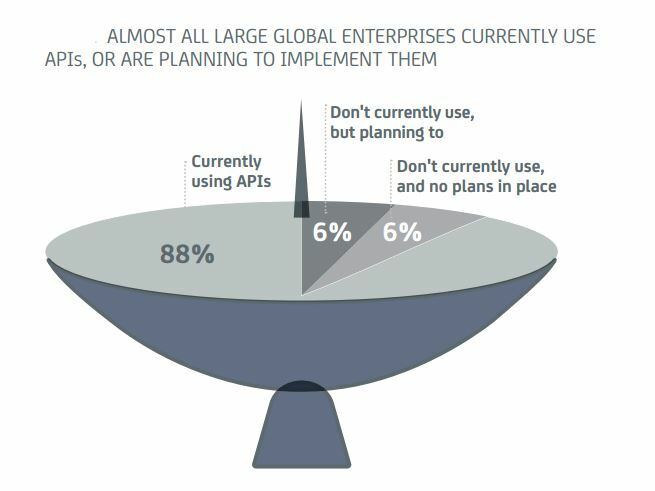 Some 89 percent of UK organisations report an improvement in their ability to leverage third-party developer innovation using APIs – 20 percent more than the average in EMEA (69 percent). 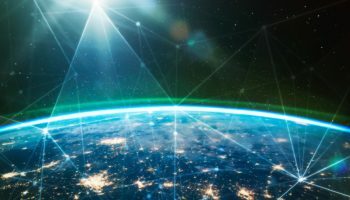 This is the major finding from a new global study, APIs: Building a Connected Business in the App Economy, commissioned by CA Technologies. 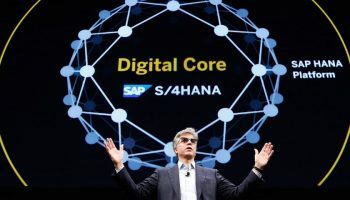 By opening up and sharing select applications with third parties, UK organisations are seeing the greatest results from absorbing data from partners and adding essential services to their apps—without having to write new code. Among these innovations are ‘conversational commerce’ services that enable consumers to interact with brands or aggregated services using chat, messaging or other natural-language interfaces. Application programming interfaces or APIs, are the central nervous system of the app economy. 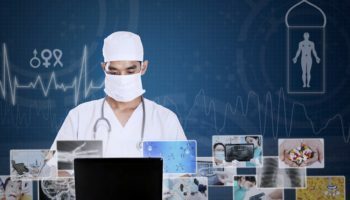 By allowing pieces of software to communicate with each other, they provide ready-made, universal access to whatever functionality an organisation needs to deliver. 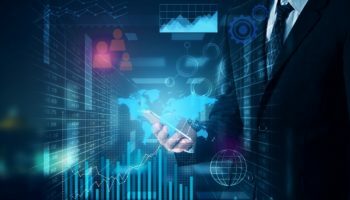 Some 82 percent of UK organisations have now adopted APIs, and this widespread use is focused—among many processes—on driving revenue growth (cited by 21 percent) and delivering speed and innovation via third-party APIs (29 percent). The result is increased business agility. According to the study, UK organisations are seeing a 30 percent increase in business agility (i.e. speed to market) from their API efforts—reducing the time to develop/test and release new apps from an average of 14.86 weeks to 10.46 weeks. The majority (52%) of UK executives also believe that their APIs are highly effective at differentiating their companies from the competition. 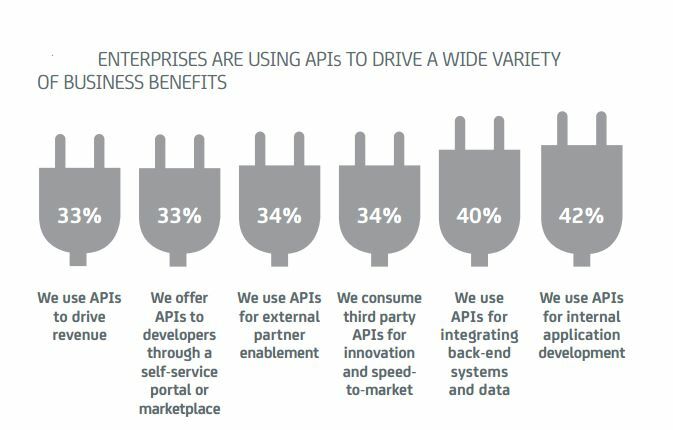 Barriers to API adoption remain though. 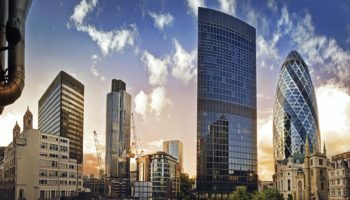 For UK organisations, the major barriers are defining the business value (cited by 37 percent), the lack of skilled resources (36 percent), and the time needed to develop an API (32 percent). The growing use of APIs calls for a formalised approach to API management, which encompasses creating, securing, managing, and optimising APIs throughout their lifecycle, and at enterprise scale. With this in mind, the study includes an API management maturity model to assess how far organisations have implemented the tools and technologies, systems and processes, and capabilities required for full API lifecycle management. Some 43 percent of UK organisations can be considered advanced in API management. Advanced API management users experience a 38 percent reduction in IT-related costs compared to 29 percent for basic users.